20th Century Fox held the New York City premiere for Deadpool 2 on Monday night, and one of the attendees was Marvel Entertainment's Chief Creative Officer Joe Quesada, who made an interesting revelation on Twitter following the premiere. While Quesada had plenty of high praise for the movie itself, he also gave a big shout-out to the movie's post-credit scene, which he claims is the best in movie history. Here's what Joe Quesada had to say about Deadpool 2 in a series of three tweets following the premiere. "Just got back from the @deadpoolmovie 2 NYC premier and HOLY $#!+!!!! No seriously... HOLY $#!+!!!! I can't remember the last time I laughed that much at the movies. It's everything you want in a DP movie and more. Thanks FOX for inviting us. And congrats to @VancityReynolds @DavidMLeitch Josh Brolin, Morena Baccarin, Terry Crews, the entire cast and crew and Zazie Beets who kills it as Domino! And stick around for what are hands down the best after credits scene in movie history! Pure Marvel joy through Deadpool's lens." Unfortunately, Quesada wouldn't spill any specifics about the post-credit scene, but it's not surprising there is one in the first place, since this sequel was essentially announced in the Deadpool post-credit scene. 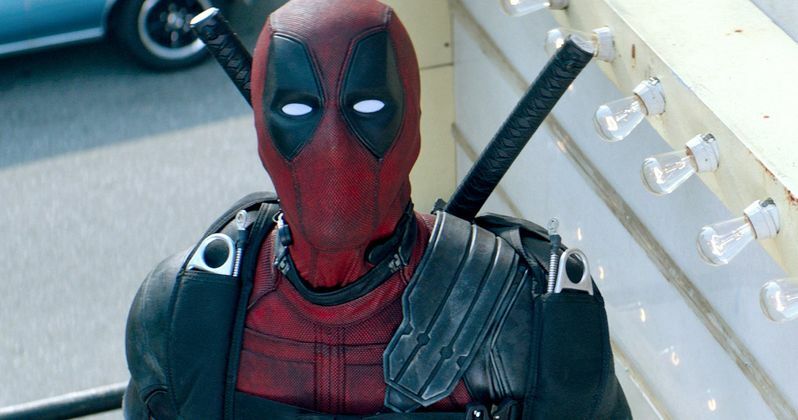 Taking a nod from the iconic post-credit scene in Ferris Bueller's Day Off, the Deadpool post-credit scene featured the Merc With the Mouth coming out of the bathroom in full costume (with a robe on over it) revealing that Cable will be introduced in the sequel. While he didn't know who would be playing Cable at that time, he offered a few candidates such as Mel Gibson, Dolph Lundgren and Keira Knightley, but they ultimately cast Josh Brolin. While we won't know for sure until the movie hits theaters for sneak preview screenings tomorrow night, it's possible that this post-credit sequence could tease the upcoming X-Force movie. Deadpool 2 introduces a number of new characters who will make up the X-Force in an upcoming stand alone movie, including Domino (Zazie Beetz), Bedlam (Terry Crews), Shatterstar (Lewis Tan), Zeitgeist (Bill Skarsgard) and Peter (Rob Delaney), who will be joined by the Merc With the Mouth (Ryan Reynolds), Colossus (Stefan Kapcic) and Negasonic Teenage Warhead (Brianna Hildenbrand). Deadpool 2 is currently tracking for an opening weekend of $150 million, which, if it hits that mark, will surpass the record for the highest opening weekend for an R-rated movie, breaking the record of $132.4 million set by its predecessor, the 2016 blockbuster Deadpool. The superhero sequel will also likely end the three-week box office winning streak of Avengers: Infinity War, which is on track to become the biggest movie of the year, beating out the current champ Black Panther. As for Deadpool 2, whille Deadpool holds the record for the highest grossing R-rated movie worldwide with $783.1 million, its $363 million domestic take came just short of the all-time R-rated domestic record of $370.7 million, set in 2004 by Mel Gibson's The Passion of the Christ, so it will be interesting to see if Deadpool 2 can break that mark. Take a look at the tweets below from Joe Quesada Twitter, where he showers praise upon Deadpool 2. Just got back from the @deadpoolmovie 2 NYC premier and HOLY $#!+!!!! No seriously... HOLY $#!+!!!! I can't remember the last time I laughed that much at the movies. It's everything you want in a DP movie and more. Thanks FOX for inviting us.